After the recent brouhaha over the ban on anchored putting, I’d like everyone to raise a glass and toast—a little late, I admit—the anniversary of another change in equipment governance that deserves our applause. A little more than five years ago, on January 1, 2008, the Rules of Golf allowed clubs to be adjustable. If you don’t know what happened as a result, you’ve been in a cave. Although it wasn’t the first company to produce an alterable driver (that distinction goes to the now-defunct Nickent Golf), the undisputed leader in adjustability is TaylorMade. Its first semi-transformable driver, the R7, had movable back weights and debuted in 2004. The R9, with true adjustability in the form of a twistable loft sleeve, came out in late 2008, and the R11, with a choice of eight loft settings and adjustable face angle, in early 2011. The latest variation on variability is the R1. It offers three “tunable technologies”: loft, face angle, and weight. There are 12 positions on the loft sleeve between 8 and 12 degrees (7 standard and 5 upright settings), 7 face-angle options (maximum closed to maximum open), and two weights. I trust the engineers’ calculations that claim a total of 168 possible settings. There are other notable features, including variable thickness in the crown that moves the center of gravity forward; what TM calls “Inverted Cone Technology,” invisible because it’s on the back of the clubface but expands the sweetspot; better aerodynamics so the head moves faster through the air; and funky graphics that are supposed to aid alignment. Does it all work? I’ve been using the R1 for about two months and I like it. A lot. Which is significant, at least to me, because I’d tried all the drivers mentioned above and never clicked with any of them. This despite TaylorMade consistently leading the Tour count and selling zillions of the earlier models. I was always impressed with the tech but disappointed in the results. Until the R1. Being able to adjust the specs matters. With the help of online videos and a smartphone app, I’ve dialed in what seems to be my correct combination. I’ve tinkered a few times, both on the range and round to round, but found—especially with face angle, which primarily affects how the club looks at address—that once you get it, you know. And you don’t switch. Which is something people throughout the equipment industry told me: Once golfers set adjustable clubs, they rarely change. The setting golfers should pay the most attention to is loft. TM’s Tom Olshavsky told me their research shows that 80 percent of golfers are playing the wrong loft. Since the new mantra in driver performance is “high launch angle plus low spin,” the wrong loft can severely limit distance. So setting the loft is key, and like all the settings, easily done. When it comes to adjustability, I’m a believer. I like other twist-and-click drivers, too, because the technology works, even if just psychologically. Plus, I’m a range rat, so it’s fun to tinker. But once set, the R1 delivers what we all want from a driver: good feel and better distance. 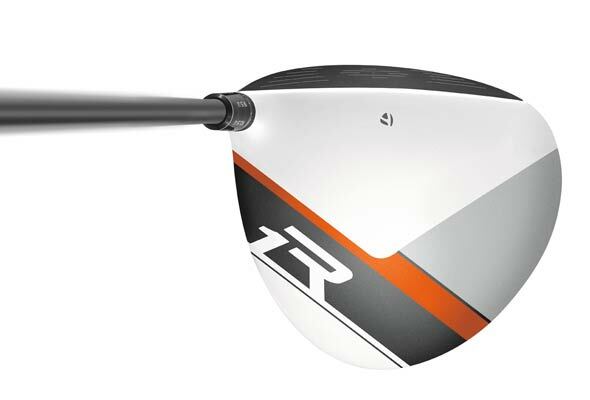 TaylorMade’s website currently is discounting the R1 from $399 to $349, as are stores. 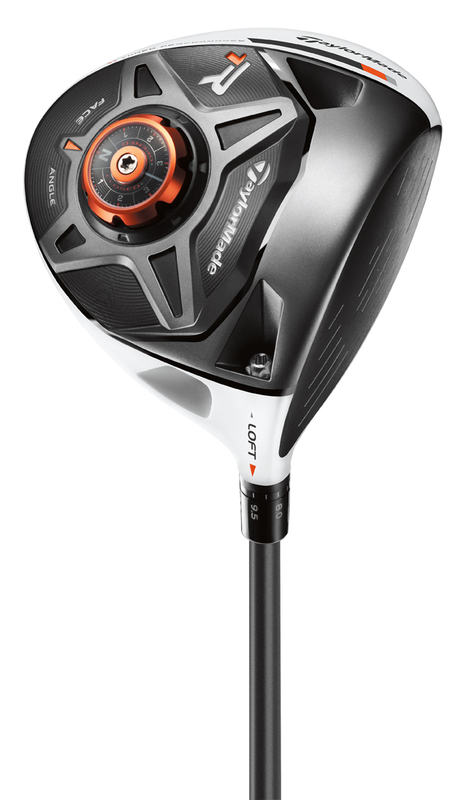 Note: As I was writing this review, TaylorMade announced that the R1 will be available in black as of June 10 at a retail price of $399. Many golfers will prefer the new all-black look, but, if possible, try the white if you think alignment aids on the crown and the perception of the larger head can be helpful. I found it very easy to get accustomed to the white head and appreciate its attributes. Scottish? Yes. Golfer? Who Cares? Day 1 in Scotland: Guess what? It’s raining! Caddyshack Golf Towels: Do You Get a Bowl of Soup with Them?